Scroop Patterns – Call for Testers! I’ve got a new Scroop Pattern ready to be tested – and need approximately 6 testers in a range of sizes! Read this post to find out how to apply to be a tester! A little note: I’m away with limited internet access for the next four days, so will not be responding to emails until next Friday, when I let people know if they are part of the tester group or not. A loose, draping cardigan inspired by my circle cardigan, with multiple length and shape options, and a fully customisable fit. The cardigan is designed for knit fabrics with 25-40% stretch across the width. It makes a lovely spring/summer cardigan in light, lacey knits, and a wonderfully warm winter cardigan in heavier wool knits. The pattern uses a unique fit system based on your shoulder and upper arm/bicep measure. The pattern is designed for a bicep between 10″ / 27.5cm and 16 1/2″ / 43cm and a shoulder (from shoulder point to shoulder point, not from outside shoulder to outside shoulder) between 13″ / 33cm and 20″ / 51cm. As long as you fit in that range, the cardigan should fit you! For this pattern I’m looking for testers who are low-intermediate or higher level sewers with some experience working with knit fabrics. be able to photograph your make being worn, and be willing for me to share your photos on this blog and instagram. I would hugely appreciate it if testers would share their finished make once the pattern launches, but this is not mandatory. I’m asking for TESTERS, not marketers. The requirement of a blog/other review format is to help me pick testers. 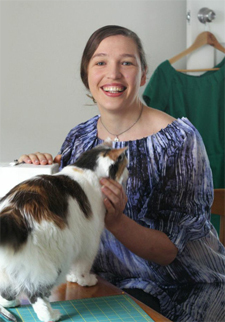 I want to be able to see how you think about sewing, and that your experience level matches up to the pattern. As always I’m be looking for a range of testers, in terms of geographical location, body type, sewing experience, and personal style. If you’re selected to test I’ll let you know and send you the materials requirements, line drawings, and the full pattern description by 5pm NZ time on Friday the 12th of April (Thur the 11st for most of the rest of the world). 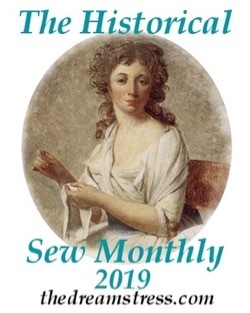 I will send out a digital copy of the pattern to testers before 2pm NZ time on Thur the 18th of April. 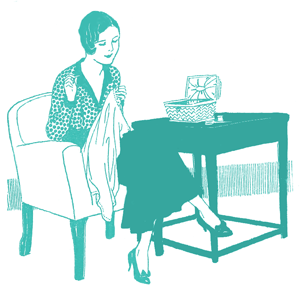 Testers will have until 2pm NZ time on Monday the 29th of April (11 days, with two full weekends) to sew the cardigan, respond to the testing questions, and supply photos. Depending on the edge finish technique you choose, the pattern takes most sewers 2-5 hours to make from start to finish. 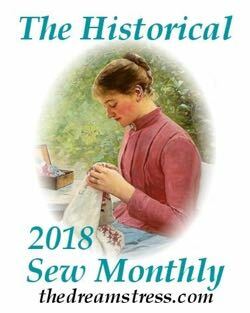 Pattern testers will get a digital copy of the final pattern, my eternal gratitude, and as much publicity as I can manage for your sewing. Email me to be a tester! 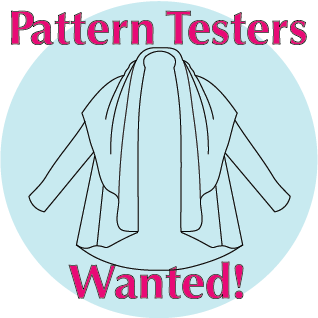 If you’ve already applied to/been a tester for Scroop Patterns in the past you are welcome to just copy and paste all the info and add into a new email, as long as nothing has changed. Sorry, no, as the post says, I let all the applicants know if they were part of the tester group by 5pm on Friday the 12 April, and don’t need any further testers.